Slip and fall injuries affect over 1 million people annually. Around 15% of accidental deaths are also attributed to incidents involving slipping or falling. In most instances, these incidents are caused by unsafe infrastructure and lack of safety procedures in public spaces and workplaces. While some incidents are unavoidable, a vast majority of them are directly caused by the recklessness and negligent attitude towards basic safety procedures. From minor injuries to permanent disabilities, slip and fall accidents can even result in death. One of the major factors identified behind the high number of slip and fall accidents is low-quality flooring material. Floors made using subpar flooring material do not provide adequate friction, hence making them more dangerous. As reflected by statistics, workplace environments are more prone to slip and fall injuries. 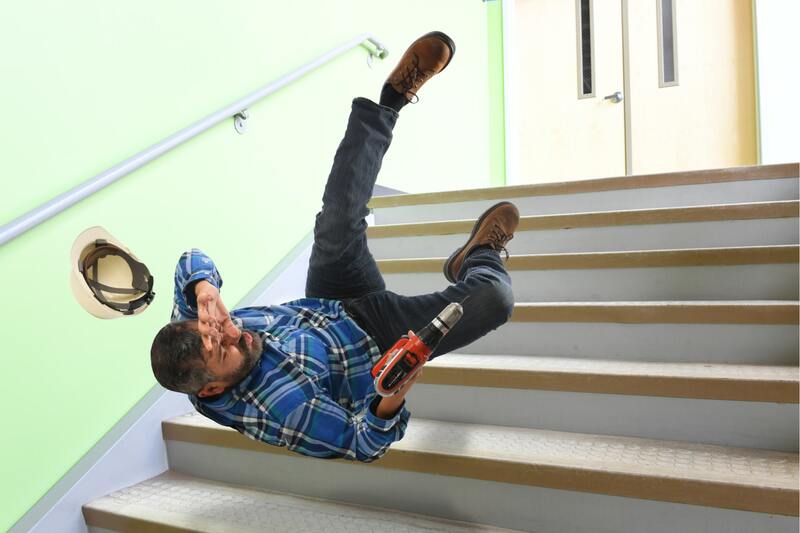 Almost 12% of the workers’ compensation claims stem from slip & fall injuries in workspaces. What should you do if you are involved in a slip & fall incident? If you or someone you know was involved in a slip & fall incident, you might have a credible premises liability claim depending on the facts of your case. Premises liability claims fall under the umbrella of personal injury claims, therefore a personal injury lawyer is the best person to help you build your case. As per the Premises Liability Act, if a person sustains an injury on a property owned by another person or entity, they might be entitled to seek monetary compensation from the owner. But in order to be eligible for compensation, you need to prove that the negligence of the owner resulted in the injury sustained by you. In case, the person who died from a slip & fall incident, their family can file a claim to seek justice. Acquiring the services of an experienced wrongful death lawyer can help build a solid case. Establishing liability for such claims requires a plethora of evidence and only someone with a vast experience in dealing with personal injury or wrongful death cases can help you obtain compensation. The statute of limitations in Illinois for personal injury claims is two years so it is imperative that you prepare and file your claim as soon as possible. If you or your loved ones were involved in a slip and fall accident, consult an experienced personal injury lawyer right now by contacting the Law Offices of John V. O’Connor at 262-671-1685 for a free consultation.